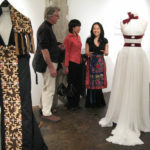 Two San Francisco fashion designers—Colleen Quen and Jude Gabbard— seek new inspiration by visiting China for the first time. 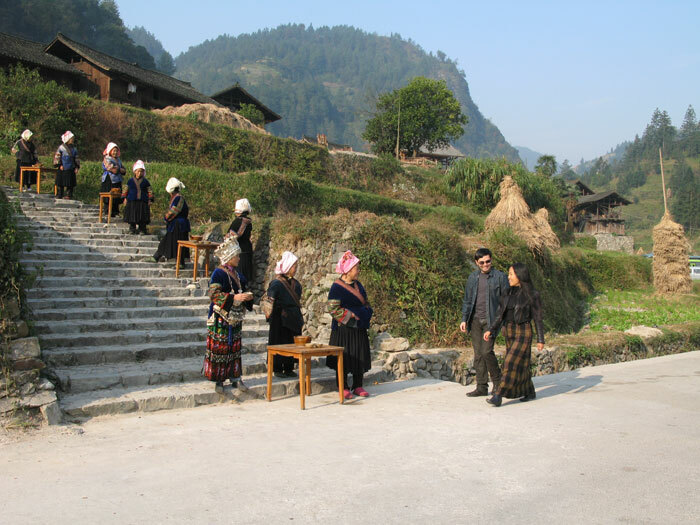 They skip cosmopolitan Shanghai, and head straight to one of China’s most remote and poorest areas, Guizhou Province. 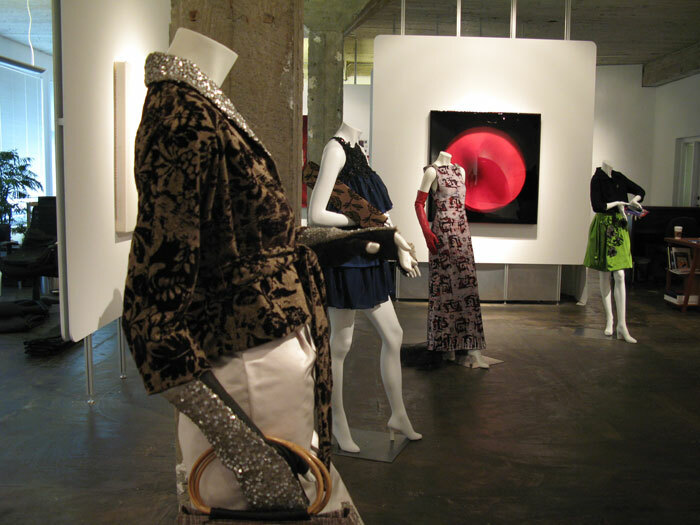 While economically poor, this region is rich in diversity, culture—and, of course—fashion. 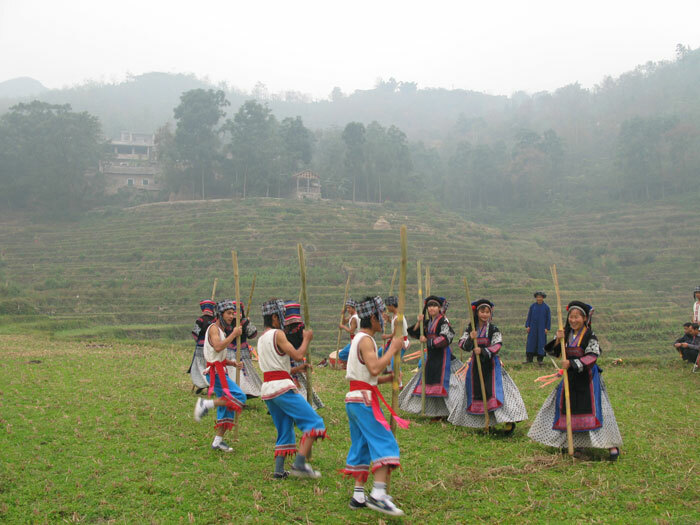 Guizhou is home to many of the country’s 55 ethnic minority groups, each with a distinct traditional style of dress. 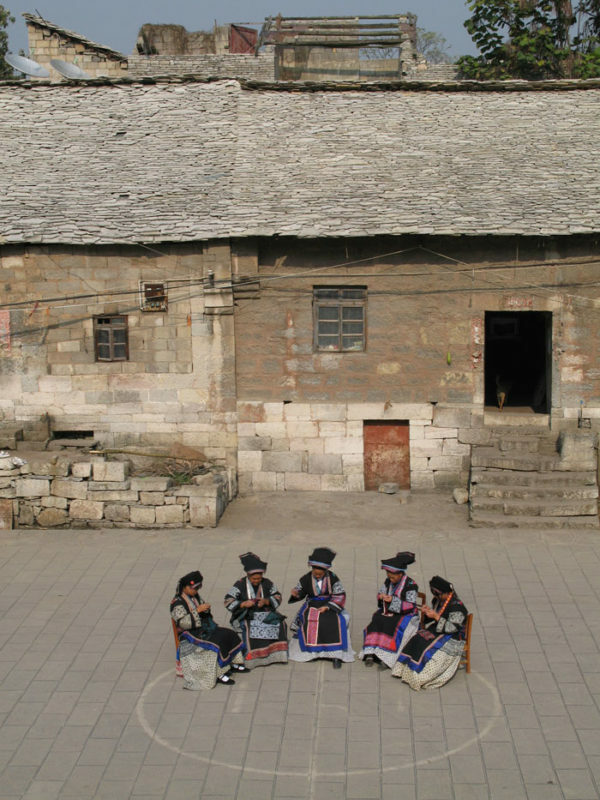 While signs of modernization are clearly visible in Guizhou’s ancient communities, entering them is still like stepping back in time. 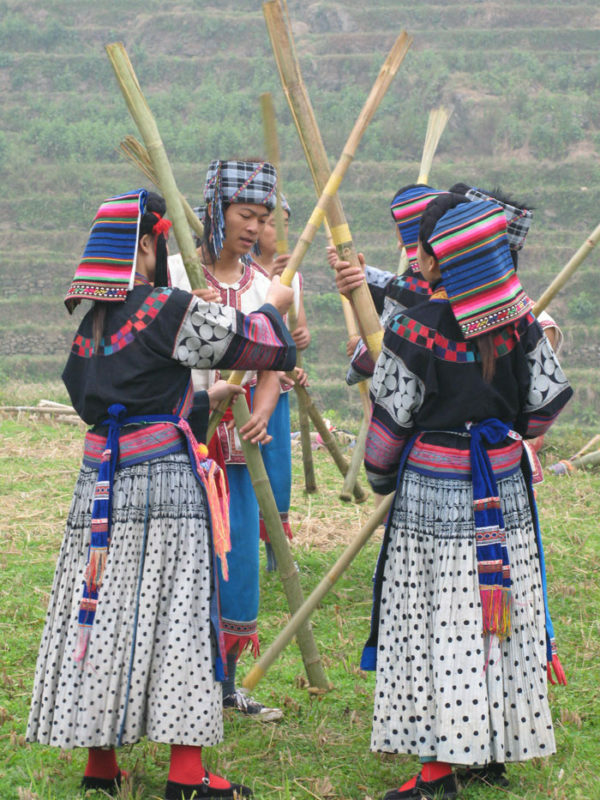 The clothes they wear today are the same as their ancestors wore centuries ago. 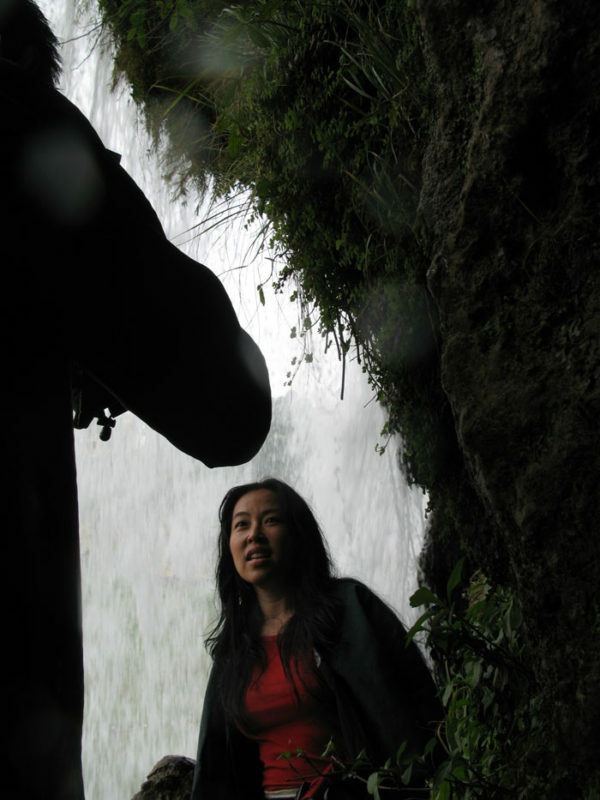 Colleen and Jude traipse through rice terraces and steep hillsides to visit the ancient villages of the Miao (Hmong) and Buyi people. 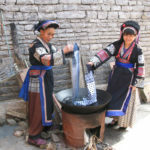 They learn traditions that have been passed down for generations, and the villagers help them decode some reoccurring motifs on their clothing. 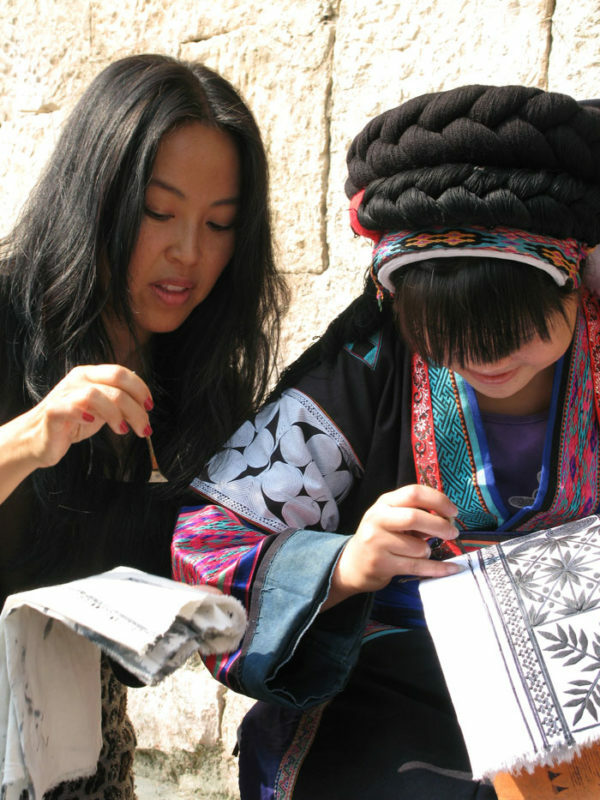 Colleen and Jude take a hands-on approach to learning about wax-dye batiks, embroidery, silver jewelry, unusual hairstyles and adornments— and they explore the layers of meaning behind these unique designs and accessories. 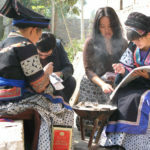 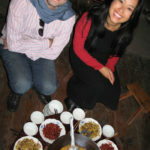 Once back in the U.S., Colleen and Jude process their China trip and incorporate this experience into their designs. 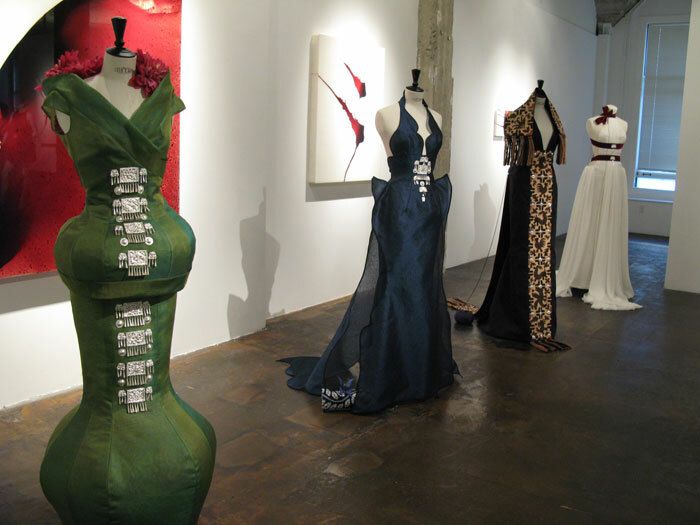 So, just what does this fashion fusion look like? 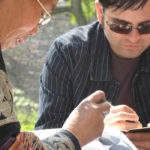 Do their design approaches transform? 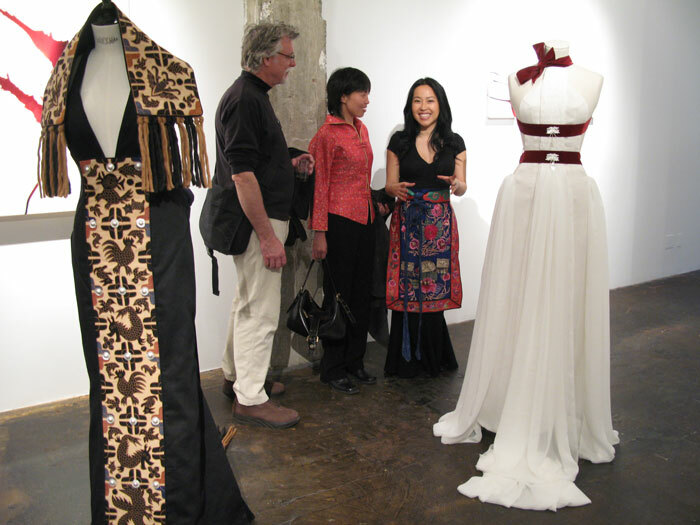 Colleen and Jude debut their new China-inspired collections in March 2008 and reveal the answers. 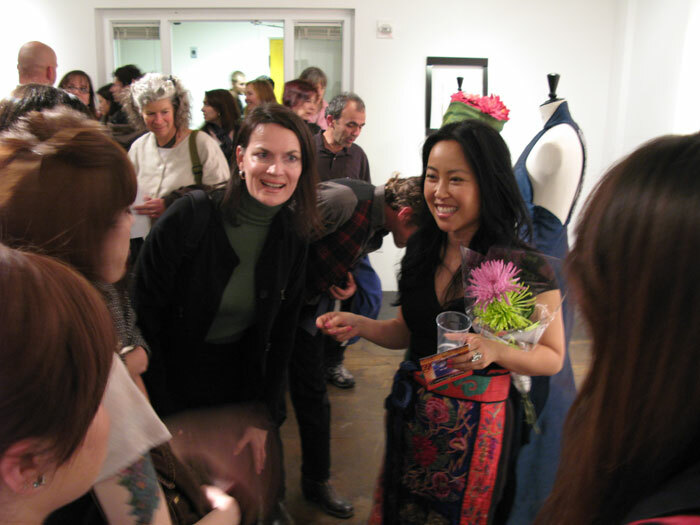 Fashion Exhibit: For the conclusion of the documentary, Colleen and Jude debut their China-inspired collections on March 6, 2008, at Mark Wolfe Contemporary Art in San Francisco. 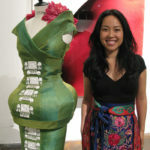 Colleen’s green cocoon gown with handmade silver jewelry has a high collar inspired by the traditional Miao baby carrier. 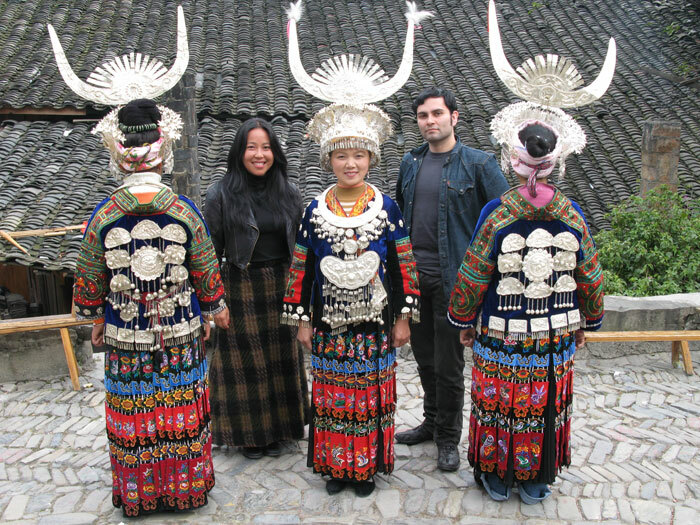 Jude’s outfit has enough “bling” to impress the Miao, famous for their generous use of silver adornments. 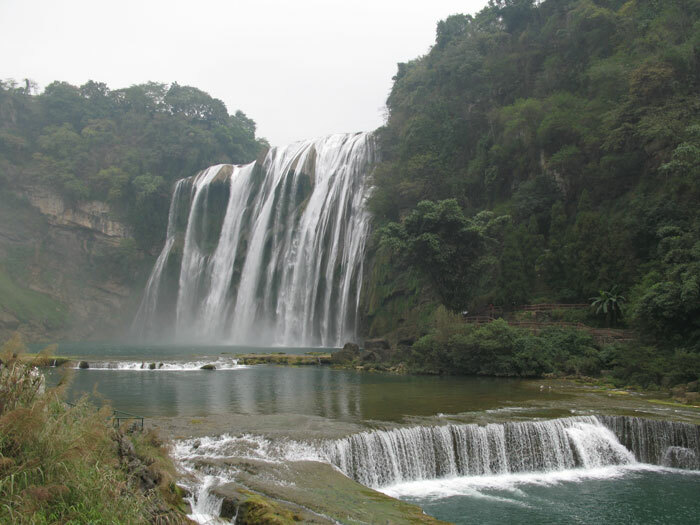 Huangguoshu Waterfall is the inspiration behind Colleen’s flowing silk white gown. 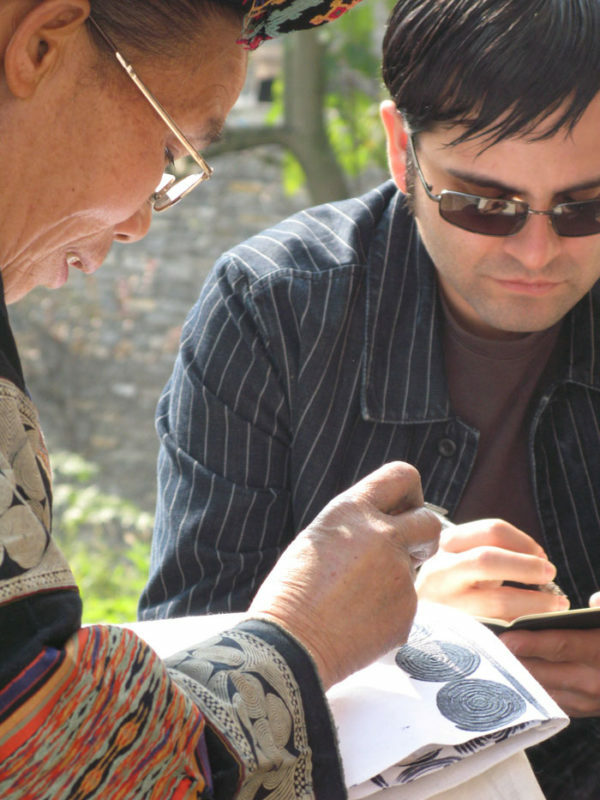 Jude tells the camera how he infused his own style with elements of traditional Miao and Buyi design. 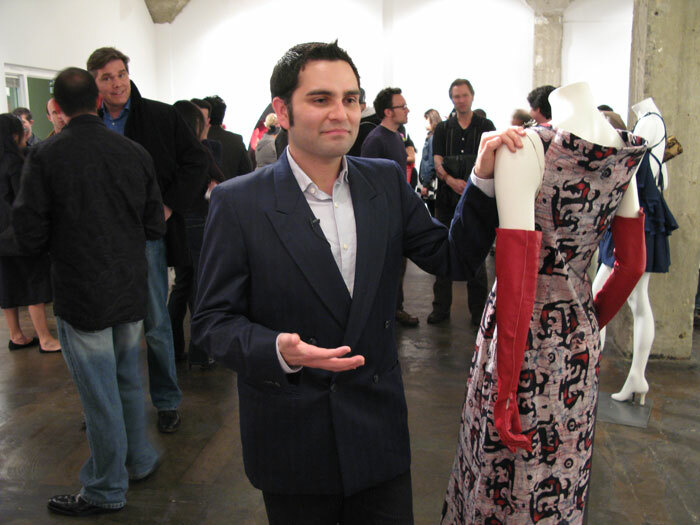 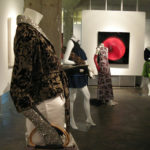 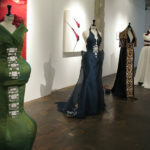 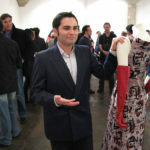 Design aficionados begin to arrive at the Fashion Exhibit in San Francisco. 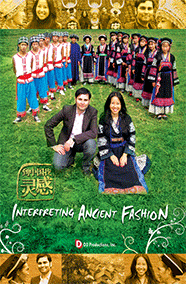 A 15-minute sneak peak of the TV documentary “Interpreting Ancient Fashion” gives a taste of what’s to air on PBS in 2009. 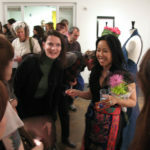 Colleen explains her indigo-blue butterfly design to fans and fashion students. 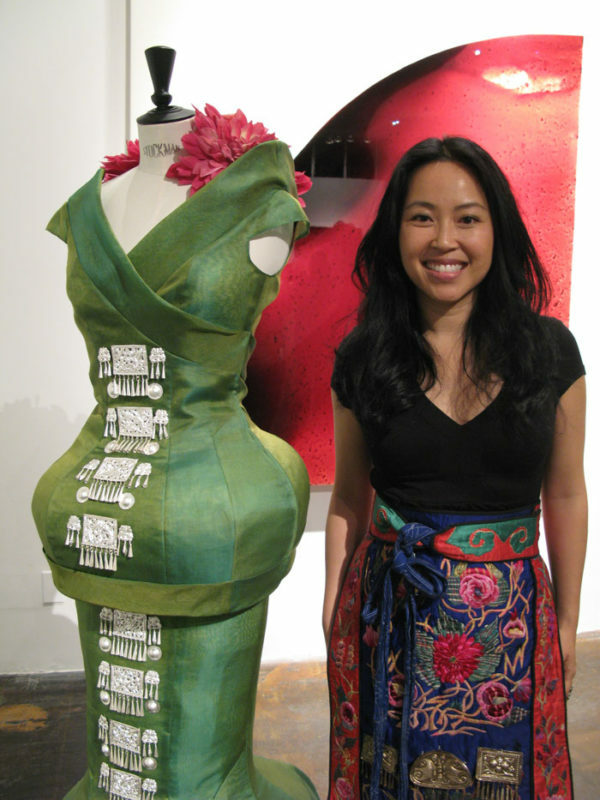 Jude’s modern twist on this batik gown ignites conversation. 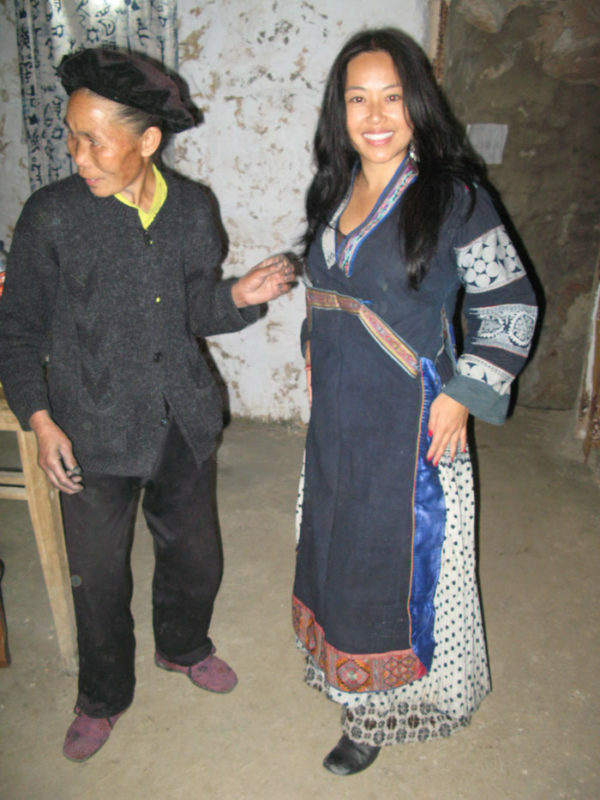 China Photos: Colleen and Jude spend November 2007 learning about fashion in remote villages and sharing their discoveries on camera. 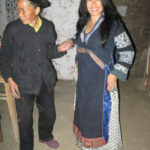 As they enter Langde Village, Colleen and Jude drink wine at every step. 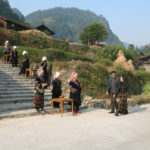 It’s all part of the traditional Miao Welcome Ceremony. 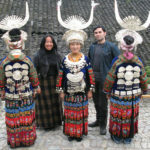 Colleen and Jude with three Miao women showing off their hand-embroidered clothing and silver jewelry. 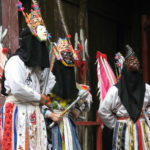 Men, women and children dressed in traditional costumes take part in the Welcome Dance. 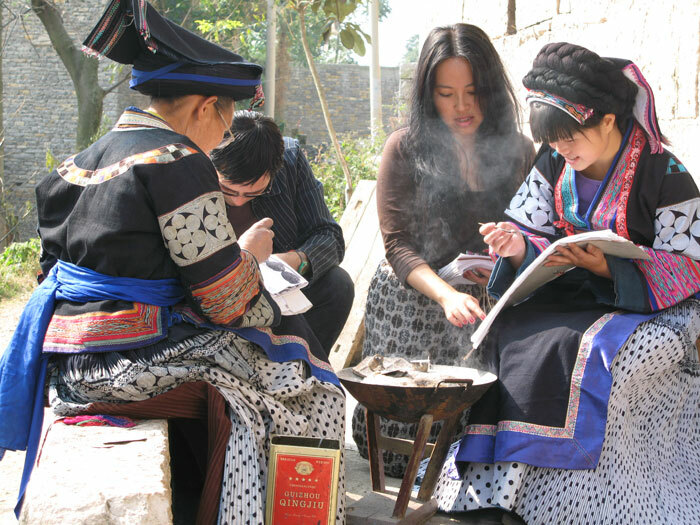 Women use their spare time to embroider clothing with ancient designs — they plan to pass it on to their daughters. 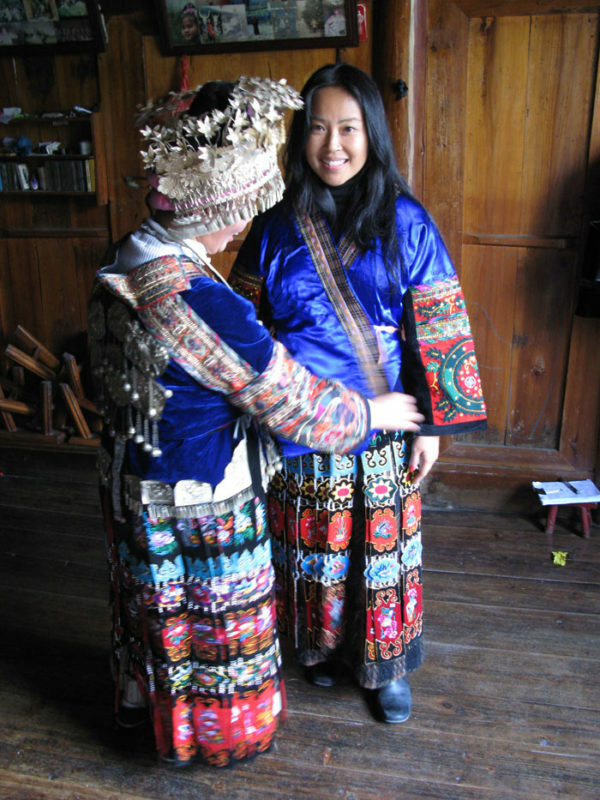 Yang Ni Tiao dresses Colleen in a skirt that took her five years to make. 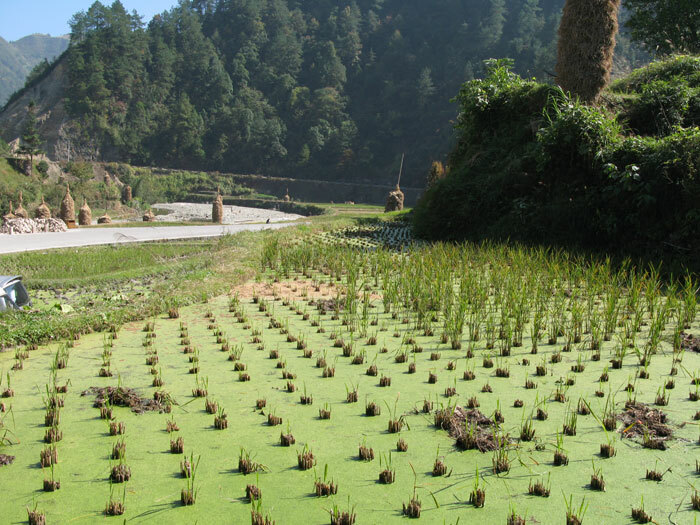 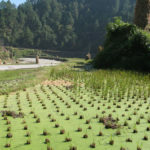 Langde is surrounded by rice fields and farms — the villagers grow all their own food. 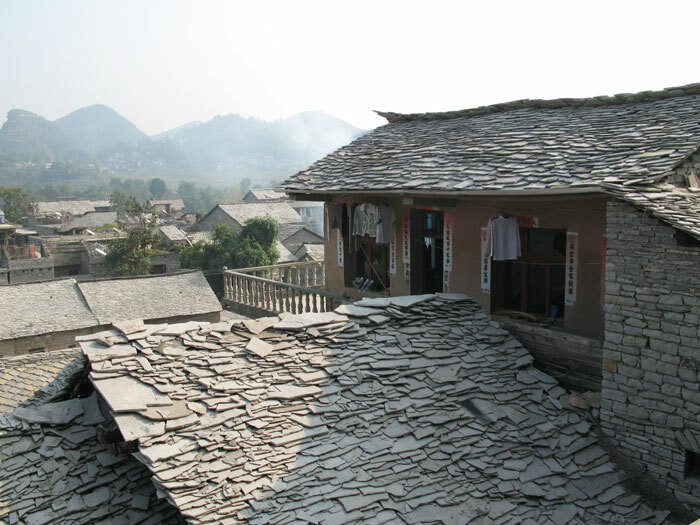 A morning with the Chen family — where four generations live under one roof. 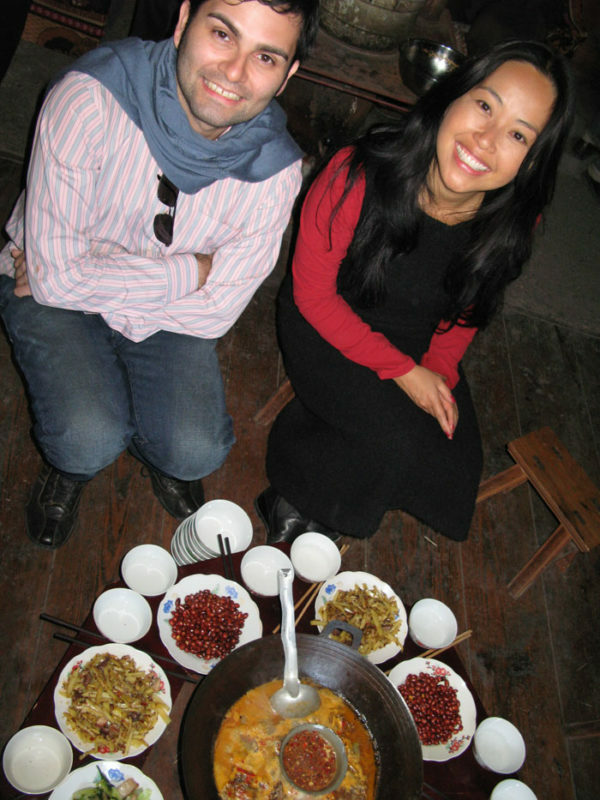 Lunch at the Chen’s house. 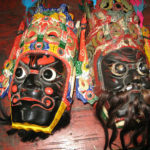 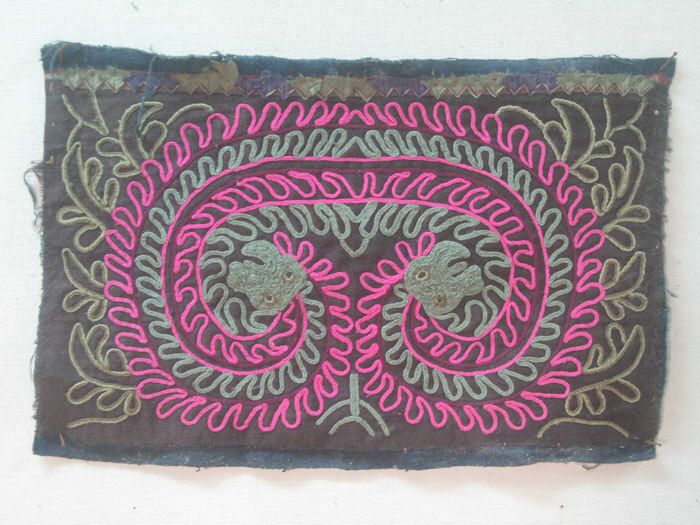 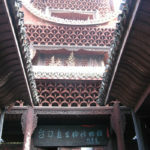 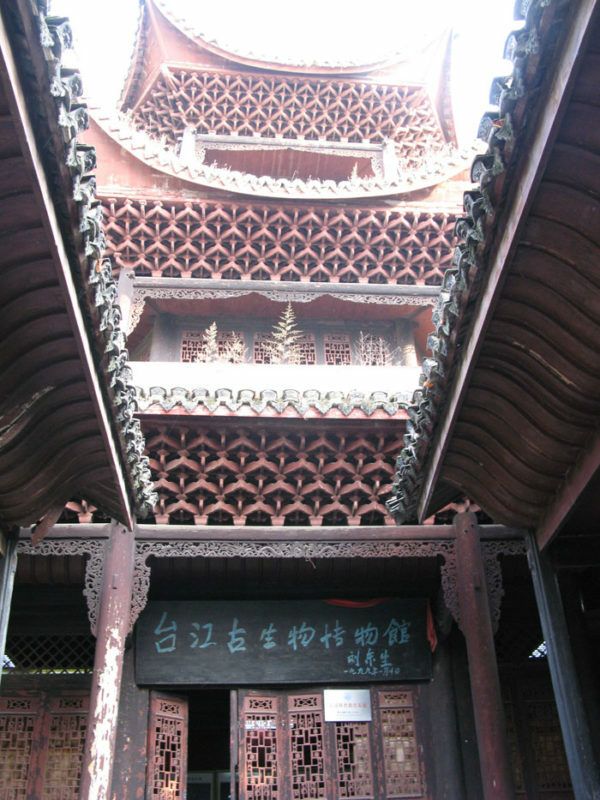 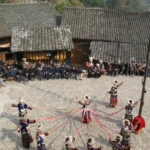 The Miao Embroidery Museum showcases ancient textiles that the Miao are famous for. 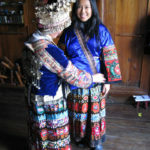 You will find many vibrant colors in Miao clothing. 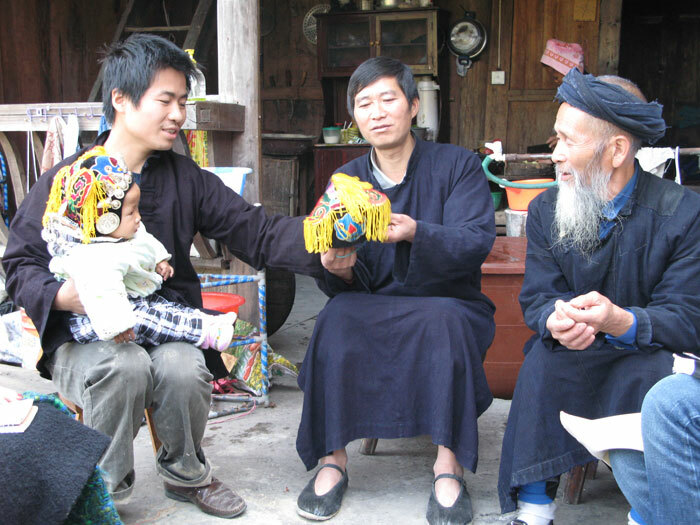 This silversmith is the 7th generation of sons to carry on his family’s jewelry-making techniques. 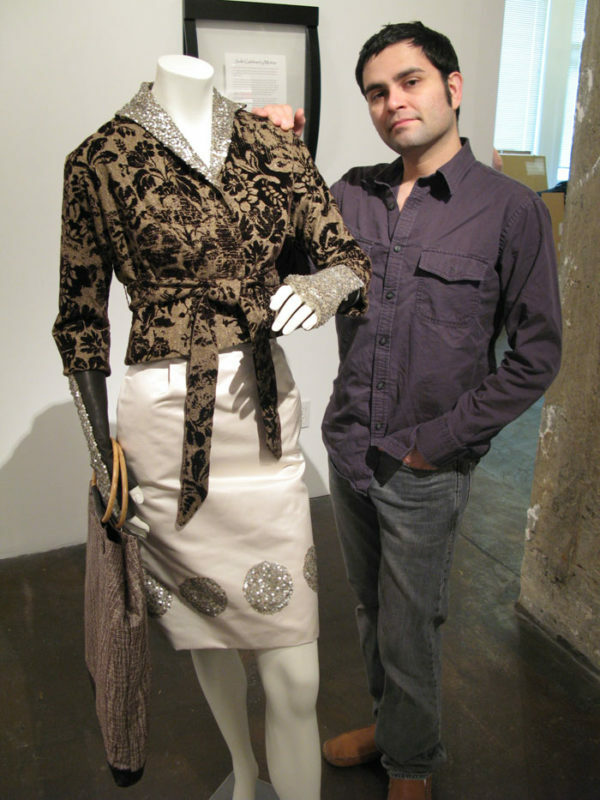 Now, he’s teaching his daughter… (and, of course, Jude and Colleen). 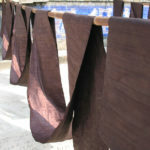 Indigo-dyed fabric hangs to dry. 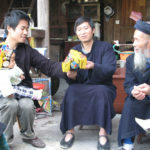 It is shiny and deep blue-black in color. 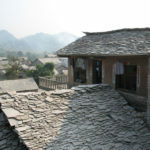 The homes of this Buyi village are made entirely of locally-gathered stones — thus the name, “Stone Village”. 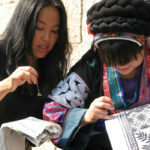 Jude and Colleen learn the art of wax-dye batiks. 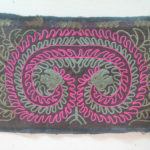 Jude uses wax to draw ancient patterns on fabric. 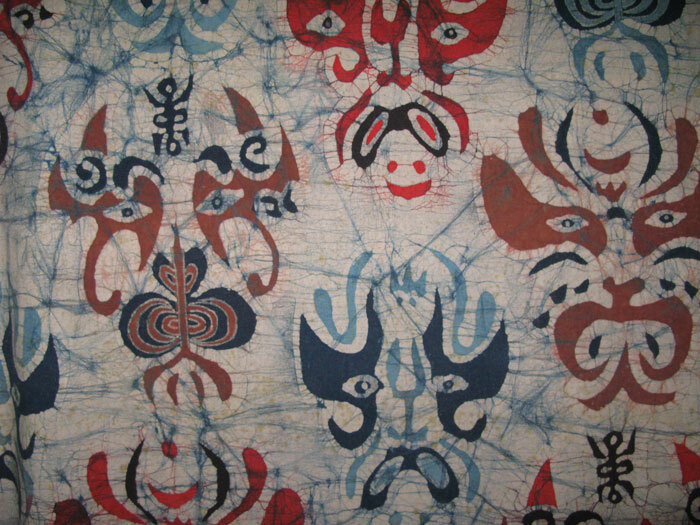 Colleen paints “dog teeth” — triangle shapes. 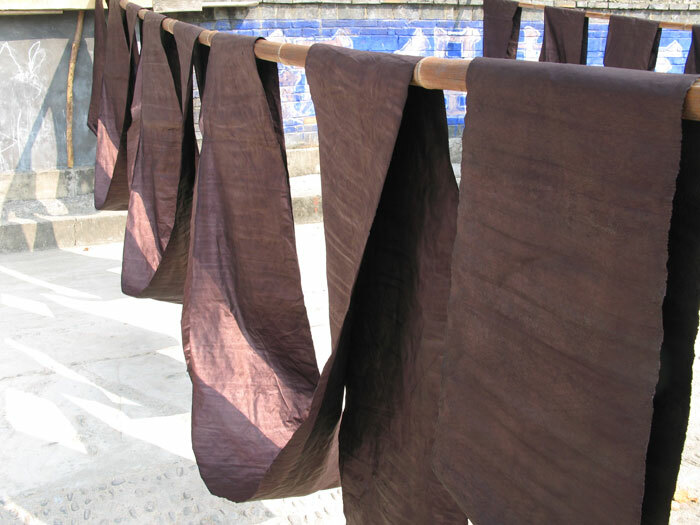 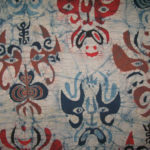 After drawing with wax and dying with indigo, they wash the fabric in “White River”. 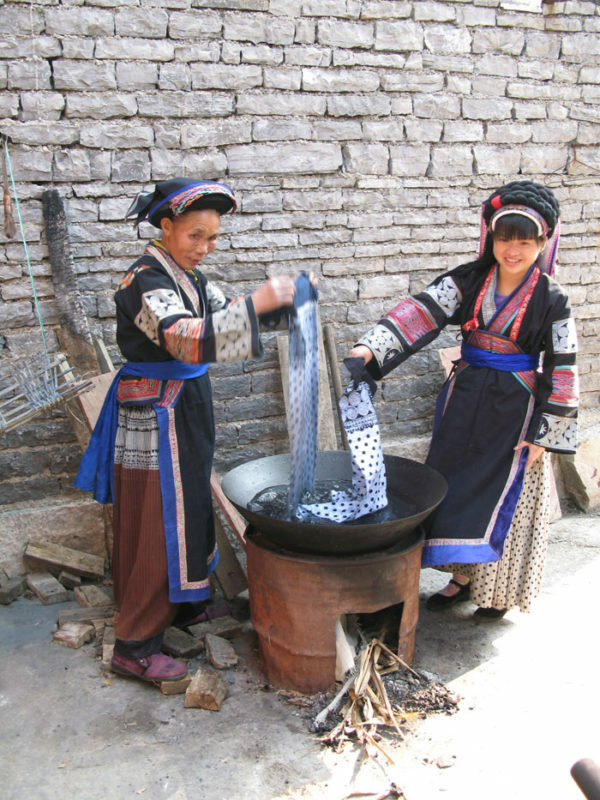 Next — the villagers boil off the wax. 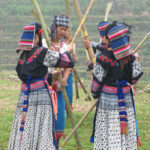 Colleen dressed in a typical Buyi costume. 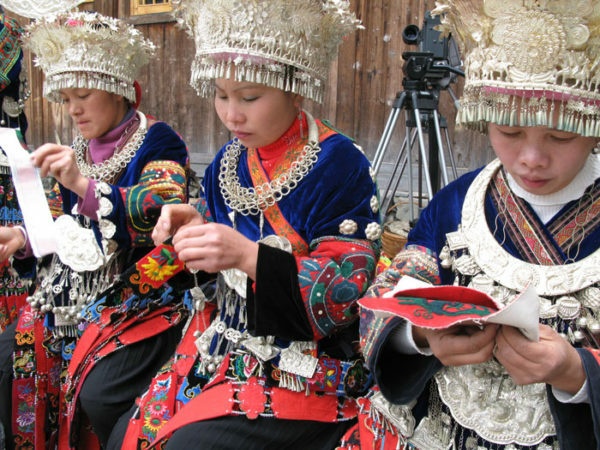 Buyi women embroidering in the city center. 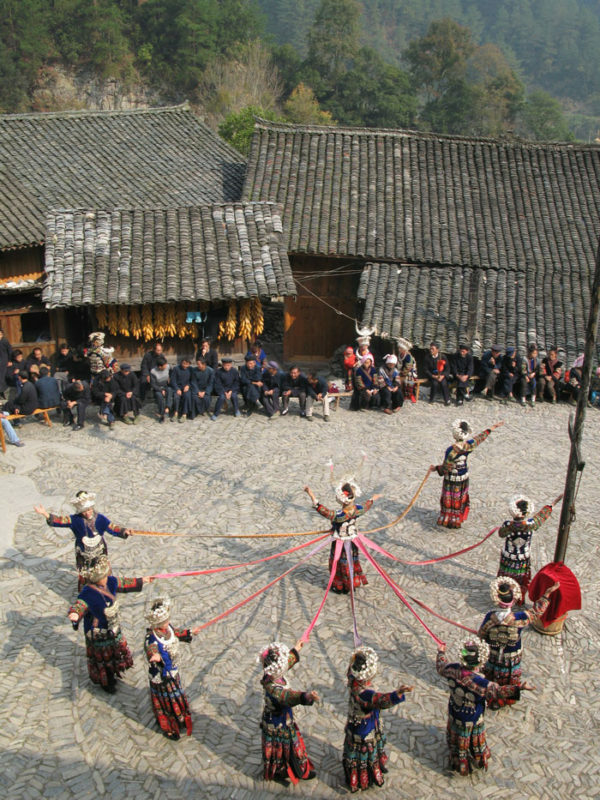 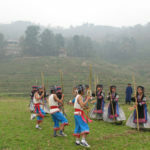 A dance performance at another Buyi Village, called Huashishao. 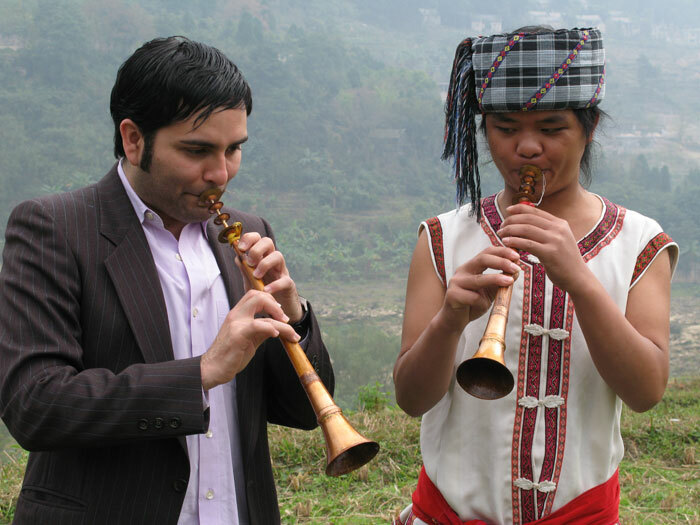 Jude plays a few notes on this obo. 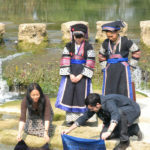 Colleen learns to dance to a song about washing clothes in the river. 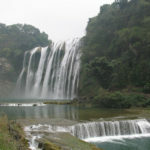 A trip to Huangguoshu Falls — the largest waterfall in Asia. 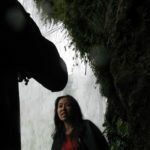 Colleen tries to stay dry as she walks behind the “Water Curtain”. 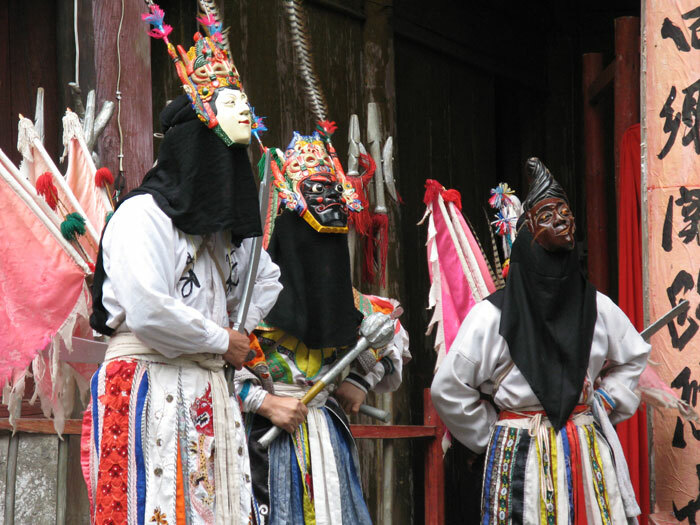 This local tradition is called “Ground Opera”, since it’s performed outdoors. 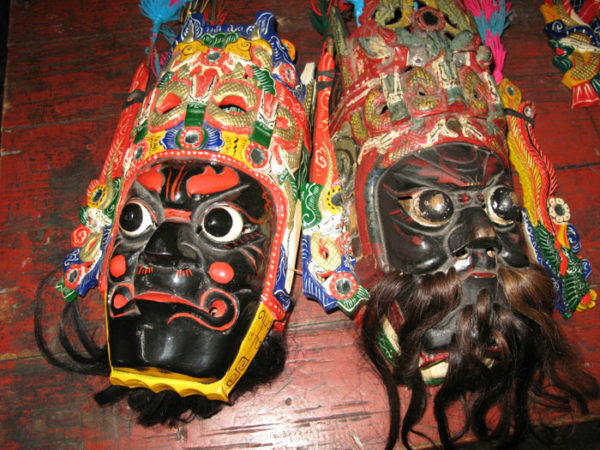 A 200-year-old opera mask — still used daily. 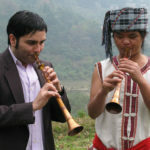 Stations will be added below as we become informed of airing schedules. 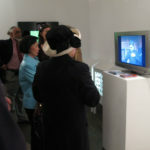 Not all stations or times will be listed. 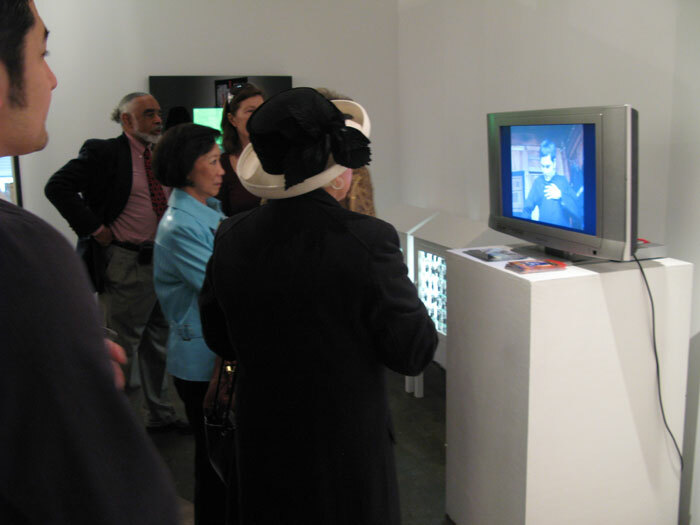 Check your local listings for most accurate dates and times. 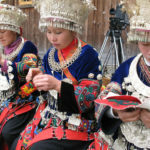 If you do not see your local station listed here, contact the TV Programmer at your PBS station to request Interpreting Ancient Chinese Fashion.